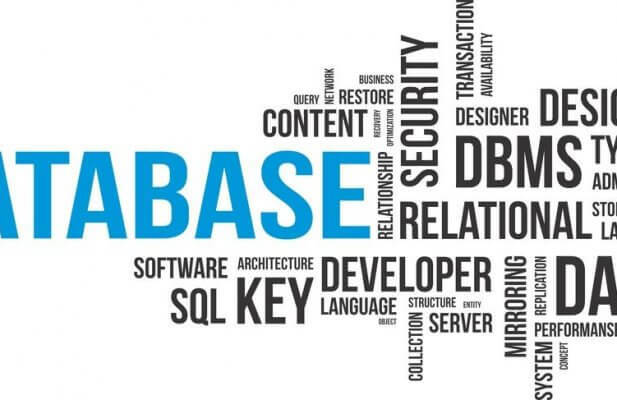 Database Management Systems (DMS) offer many benefits to businesses. Companies that do not have one in place are in danger of falling behind their competition. Whether you own a business or not, databases are at work virtually everywhere. You can see them in action every time you use a rewards card at the grocery store, manage your checking account, or borrow a book from the library, to name a few examples. Here are some great reasons why you need to implement at least one DMS for your company. If you run a business, you need to keep track of your biggest commodity, the customer. You also need to keep track of a slew of other essential tasks, like tracking inventory, customer purchases, and sales trends. Databases can keep track of all that information for you, and more. A database can also manage web traffic and walk-in traffic, which many store owners tend not to think about often. Managing data can seem like a daunting task, but databases make it easier. A good database will help your business analyze data, improve the accuracy of information and reduce the time you spend managing and forecasting data, to name a few. A database can be managed on-site, off-site, or by a third party provider. Whichever option you choose, a DMS will have an immense impact on your business. Businesses that have a strong database have easier access to their data than those that do not. Managing items such as contacts, customer purchases and product inventory in one central location gives a business better access to that information so they can analyze and utilize it better. Reports that are derived from a DMS can be customized to suit the needs of your business. Having a way to produce reports is a key aspect of centralizing information. Without this function, your business will lose untold amounts of money. For example, it is impossible for you to know when you need to order additional units of a product if you do not know how much you have on-hand. Further, if you have no idea how much money the business is bringing in, it is virtually impossible to know how much you need. So, keeping your business data in one centralized database makes sense. A DMS allows you to share throughout your organization, which is an underappreciated trait. Sharing crucial data allows you and your team to stay focused on routine tasks and stay productive. When you can share information with everyone, you save time and energy, which results in saving money. When data is seamlessly shared throughout your organization, efficiency is at its highest, and your company can run like a well-oiled machine. For example, without the help of a DMS, the seemingly simple act of retrieving the phone number of a top customer for your manager can use up valuable minutes. When this and similar tasks are repeated several times a day, those minutes add up to a lot of lost time. However, with the assistance of a DMS, you can find the phone number instantly, give it to your manager and move on with the rest of your day. The time you save can now be better used for other, more critical tasks. The benefit of utilizing a DMS can be further seen when multiple actions are needed in a short amount of time. For example, you need to retrieve a phone number and run sales numbers. With the help of a database, you can look up the phone number and run the numbers at the same time. Also, when you consider that without the help of a DMS, the sales numbers would need to be run by hand daily, it is clear how helpful and time-saving using at DMS is. It can track sales as they occur so your productivity increases. Businesses that implement a DMS have a better view of financial risks and performance, which allows them to implement new strategies and reduce costs. Running reports that outline important aspects of the business has a positive impact on a business. Knowing how much waste your company creates on a daily basis will allow you to implement a more streamlined approach to your business’s operations. Knowing how much you spend on a product compared to how much profit it produces will let you know if it is worth having in your inventory. Knowing what drives your business is the key to ensuring it is successful and long-lasting. Using a DMS benefits your company by leading you to the best decisions for every aspect of your business so it can thrive well into the future. If you have questions on what to implement or how to implement solutions like this, please don’t hesitate to contact me.